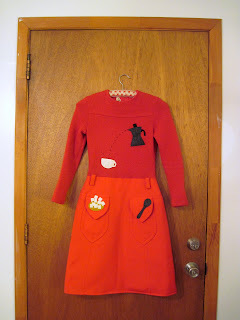 I spiced up a donated dress (thanks Katie D!) 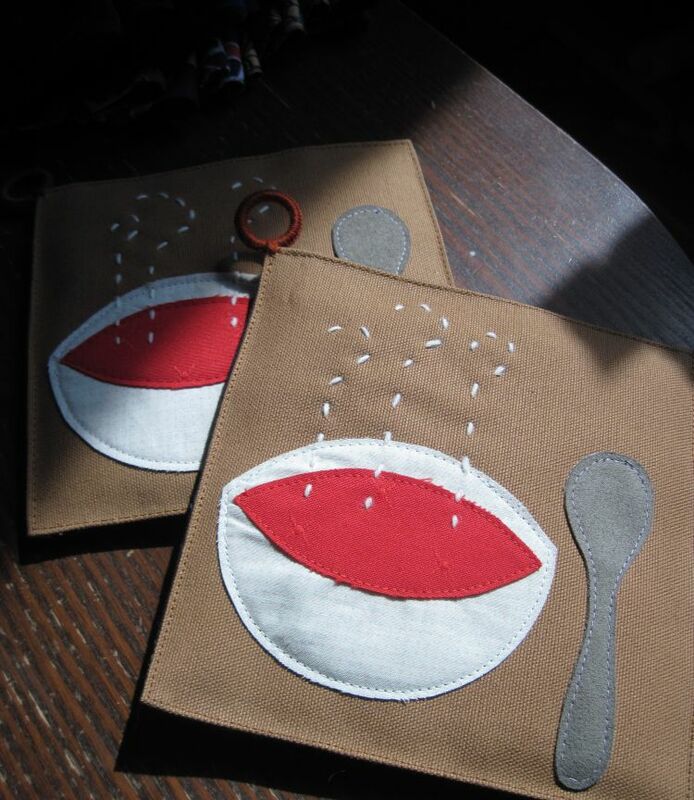 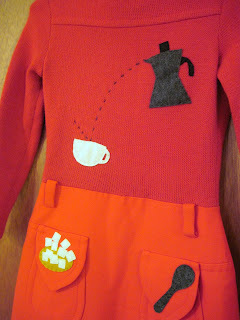 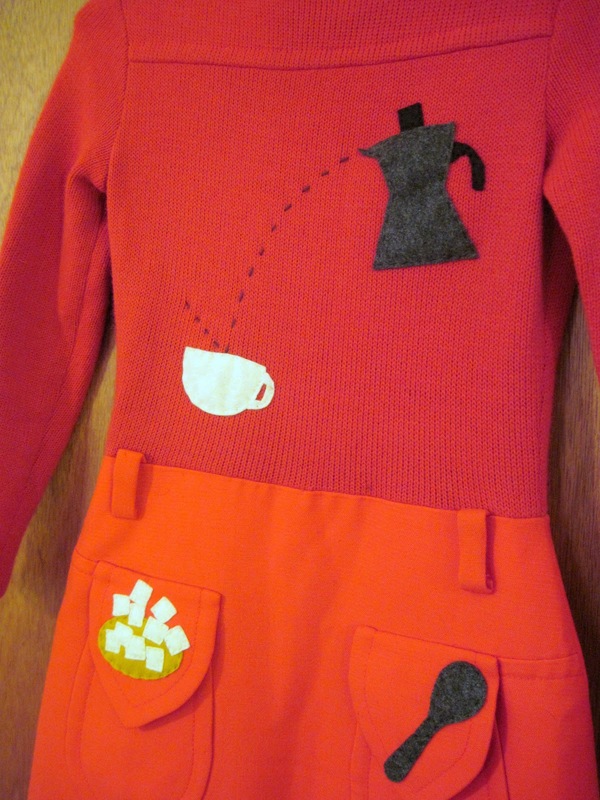 with stove top coffee appliqué. 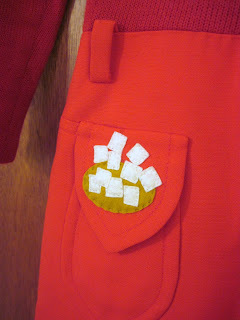 Maybe a tomato soup dress next?